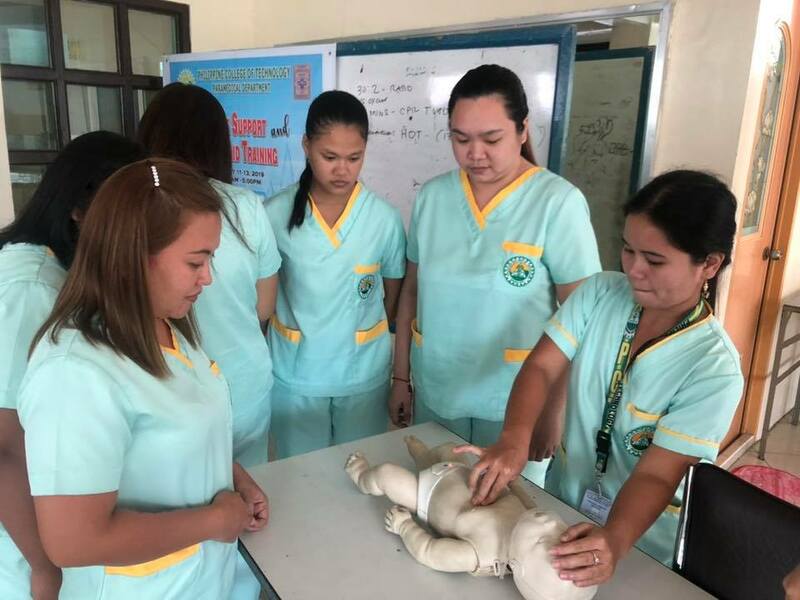 The Deseret Surgimed Hospital in Kabakan, North Cotabato requested for this training in compliance with government requirement for BLS ACLS training. This is the second batch of participants who joined the training and we are very much delighted with the outcome . The training was participated by nurses and a doctor who are working in the hospital and from the nearby city . 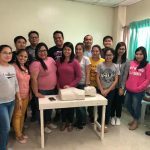 Though the training was for ACLS we started the day with BLS lecture to calibrate their knowledge on the latest CPR guidelines and from there proceeded with the discussion on ECG and pharmacology as well as the megacode scenario . I would like to thank the hospital for inviting us in conducting the training and is looking forward for another schedule later on. This entry was posted in General Discussions and tagged acls, advance airway management, advanced cardiac life support, cpr, intubation on January 23, 2019 by basiclifesaving. 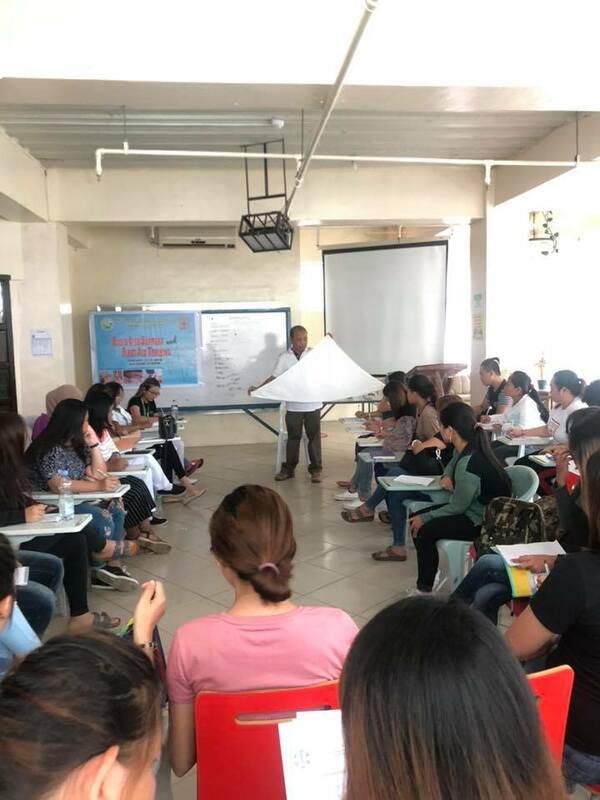 This is our first schedule of training for the year 2019 and it started out with the request from Philippine College of Technology in Bajada, Davao City. We have always been the First aid and BLS provider for the school for the last 6 years and this is the first batch for this year. 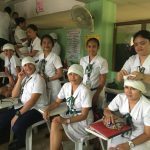 The training was participated to by practical nursing students and caregiving students of the school. 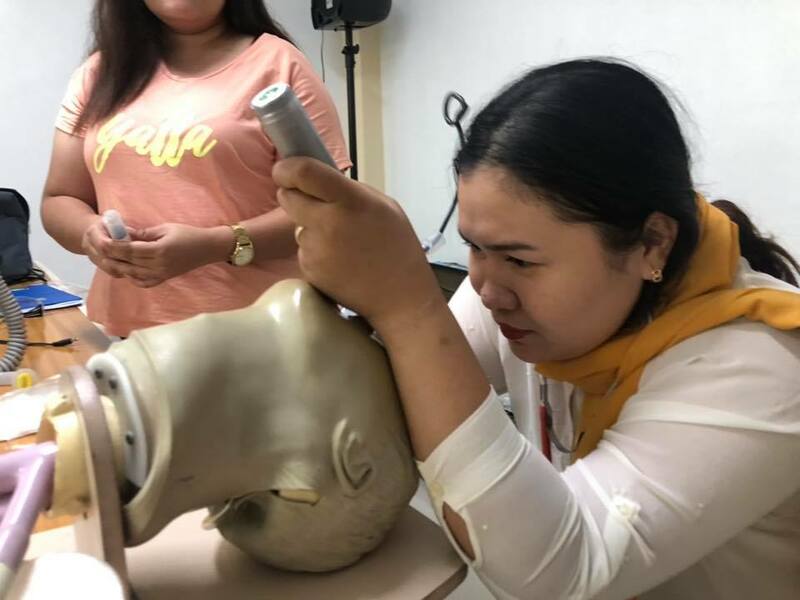 The participants were taught on the different aspects of First aid, ranging from controlling bleeding, managing fractures, handling different kinds of common emergencies such as fainting, stroke and many more. 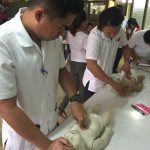 The training also includes Basic Life Support wherein each one performed Cardio Pulmonary Resuscitation (CPR) to an adult victim as well as for the child and infant. We are happy indeed to conduct the training for the students and wish all of them a good future ahead . We hope that our training have provided them knowledge to fulfill their dreams. 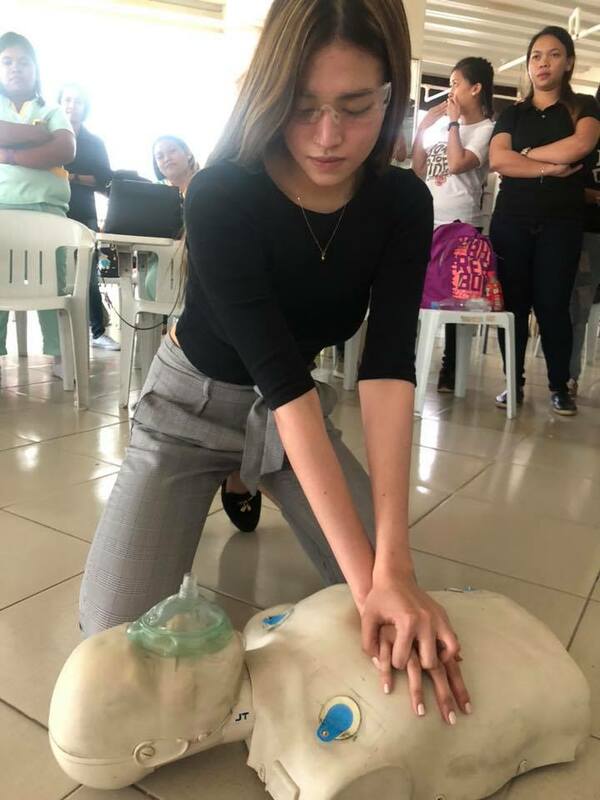 This entry was posted in General Discussions and tagged bandaging, basic life support, bls, bls certificate, caregiving, cpr training, first aid, practical nursing on January 23, 2019 by basiclifesaving. 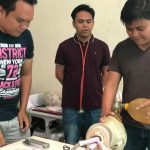 We have conducted our first round of BLS ACLS course this year with CPD units in Tagbilaran City, Bohol. 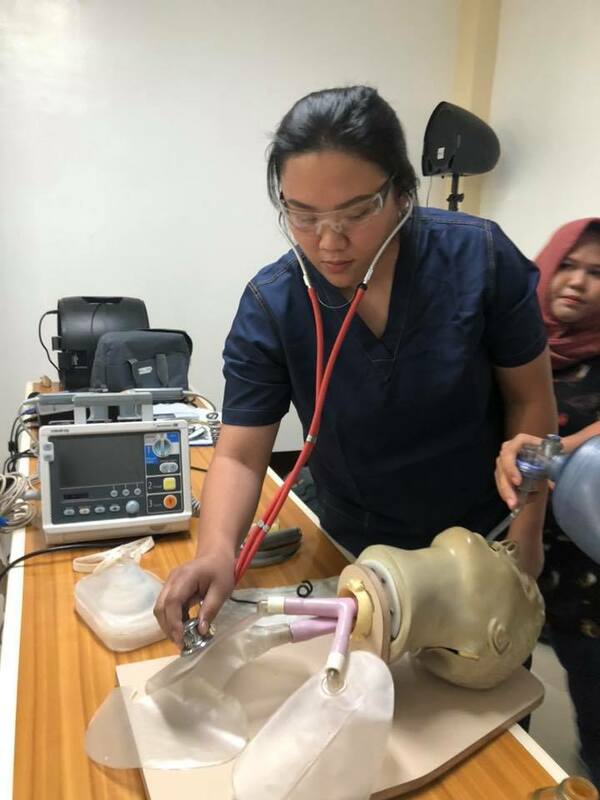 The training was held at Powerhouse Training and Review Center and was participated to by registered nurses who are mostly from the area. This training is accredited with 24 CPD units and with the option of availing the cards and certificates from the American Safety and Health Institute (ASHI) U.S.A.
A total 18 participants joined the training which started January 12 and culminated last January 14, 2018. 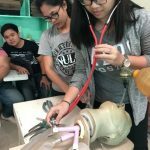 This entry was posted in News and Events and tagged acls, acls course, advanced cardiac life support, basic life support, bls certificate, cpd units, training on January 22, 2018 by basiclifesaving. Happy New Year everyone! We are looking forward to another year of teaching people the art of saving lives. 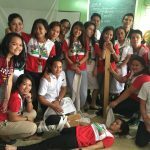 Our training this year started with First aid and BLS seminar requested by Don Bosco Technical School for their grade 10 students. 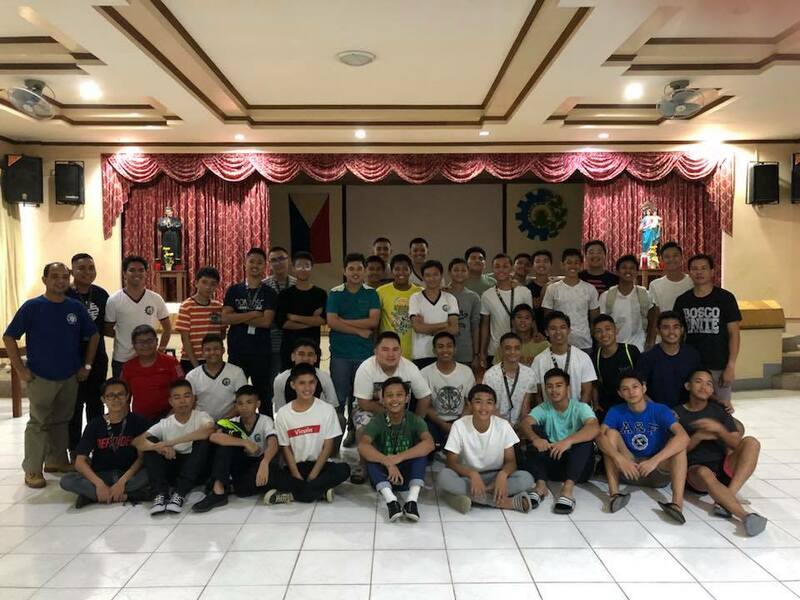 This is actually the second batch or group of grade 10 students, the first batch of which was trained December last year. The program was done in 2 days and the first day was devoted for objective discussions for first aid ranging from bleeding and wounds to common medical emergencies such as fainting and hypertension. 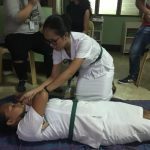 The 2nd day was for BLS- Basic Life Support discussions including the practical aspects as well demonstration and return demonstration of bandaging and splinting. We look forward to another fruitful year for the training and wishing the students more learning to come. We hope that with the training will prepare them for emergencies that hopefully we pray that will never happen. But should it happen, perhaps the training will help them in providing the right care and eventually save a life or limb. 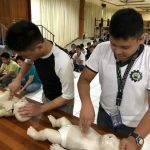 This entry was posted in News and Events and tagged basic life support, bls certificate, emergency care, first aid, first aid certificate, safety training on January 8, 2018 by basiclifesaving. Once again we were invited by St. Paul college Foundation Inc. to conduct training for their students. 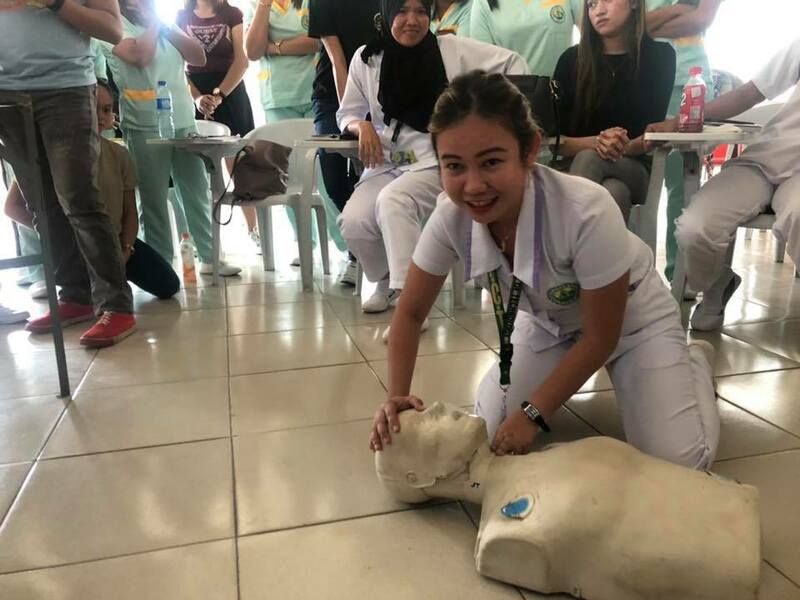 We have been conducting First aid and Basic Life Support training for the school for the last five years for their students who are taking nursing, midwifery, practical nursing, nursing aid. The school was founded as St. Paul Academy in 1985 by Dr. Lourdes Libres Rosaroso, a distinguished educator known for her varied intellectual prowess and very brilliant academic visions. St. Paul Academy became Cebu St. Paul College in the School Year 1988-1989. The Two-Year Midwifery Course was then offered with 87 pioneer students. 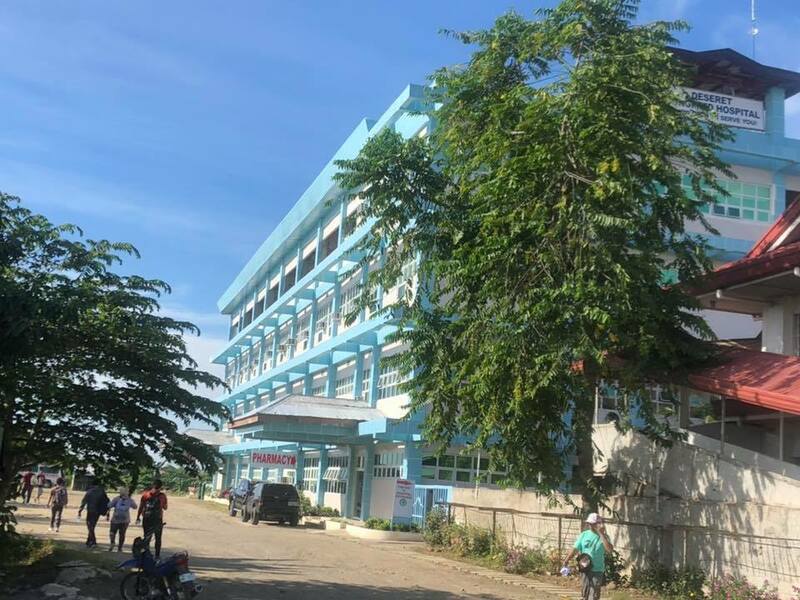 Understanding the demands for a good learning institution in the southern part of Cebu, the founder built bigger and higher buildings in Bulacao which accommodated the increasing number of students and officially made it the main campus. In 1993, the school was officially recognized as a foundation. Branching out to widen its influences in the academic community, that same year, the school opened another college – the College of Nursing. And in 1995, the High School Department was also opened. Other courses like Bachelor of Science in Computer Science, Bachelor of Science in Criminology and Bachelor in Secondary Education were opened in succeeding years and produced the pioneer graduates in 2001. 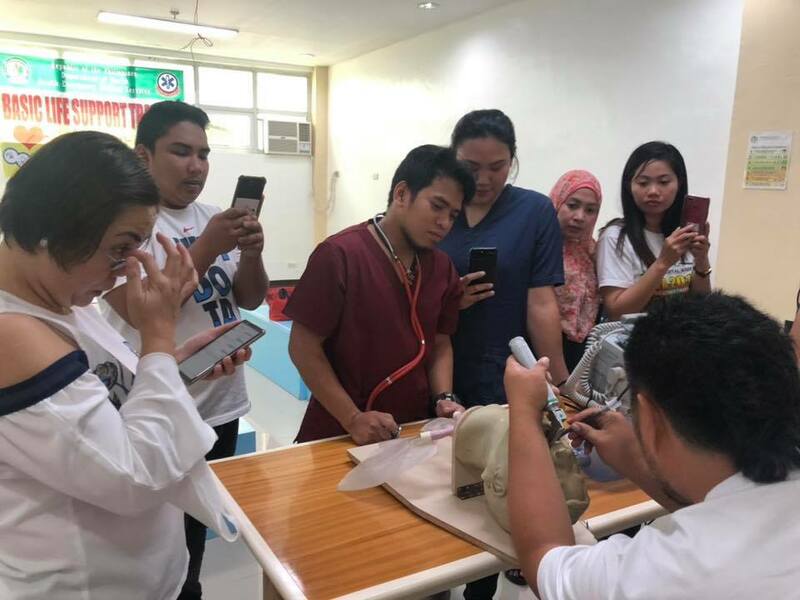 There were twenty (20) competent and fully-trained graduates of BS Criminology; however, the President discontinued offering the Criminology course due to her intense desire to focus on health care service courses since she was a medical practitioner. 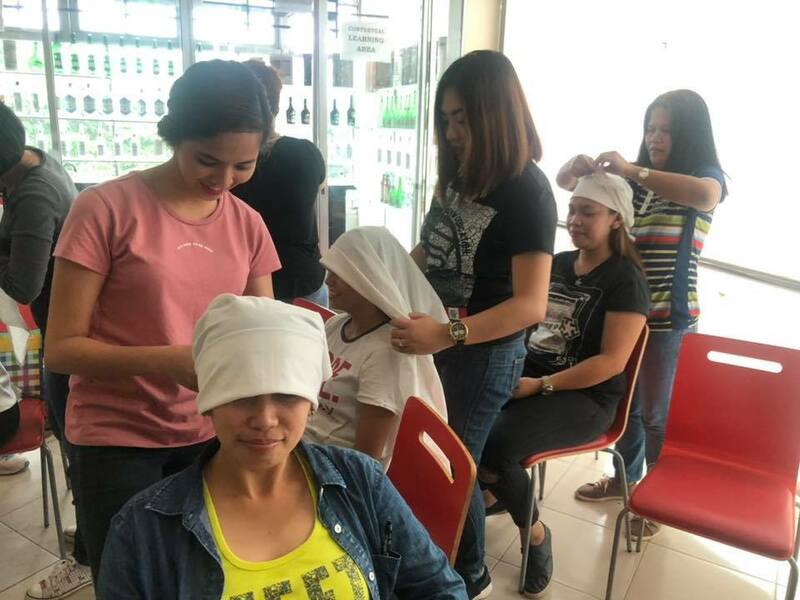 A total of 47 students joined the training, all of them taking practical nursing and in preparation for their assessment exam. The two day training involves discussions on different kinds of emergencies from bleeding, burns, fractures as well as providing care to common emergencies. Each of them applied bandaging from head to foot. They were then divided into group to apply a splint on fractured extremities. The training ended with a one on one return demonstration on CPR. This entry was posted in News and Events on November 8, 2017 by basiclifesaving.